Another Fantastic House Music Event! "Huge congratulations to everyone for a fantastic event last night. Everyone should be very happy with their achievements and well done to senior pupils for directing their choirs and musicians so well. The part songs in particular were of an extraordinarily high standard and the instrumentals were even better than last year". 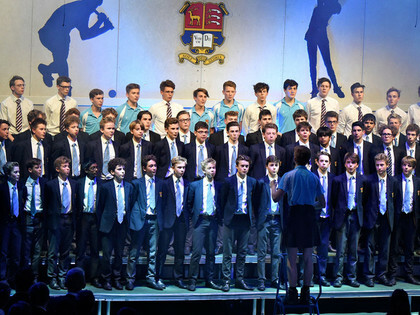 The atmosphere was electric from start to finish, with pupils in the audience cheering and clapping. Well done to Collett House for being the overall winners of the event and thank you to Andrew O'Brien, Director of Music at Haileybury, for being our excellent adjudicator.